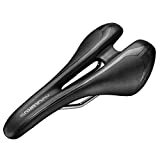 If you really enjoy long bike rides and you like taking all of the scenic routs that tend to be quite long, then it’s important that you purchase a road bike saddle. 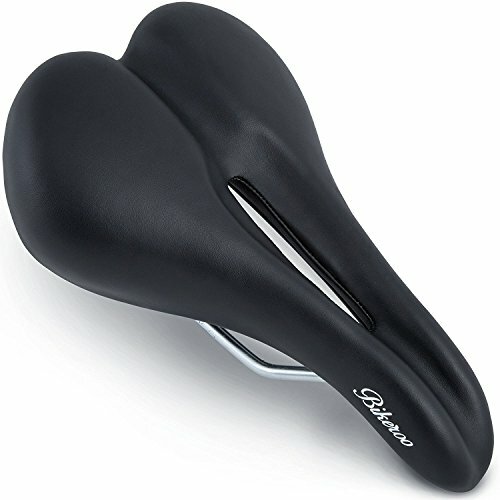 This is because it is able to provide you with a lot more comfort compared to just sitting on your bikes original seat. This is because it will provide you with extra padding; therefore, you won’t become sore or uncomfortable if you do decide to go on a long bike ride. Therefore we’ve put together a list of all of the best road bike saddles on the internet to help you decide which one suits you the best. This road bike saddle actually comes in three different colors, which include black, brown and white. Therefore you can get this saddle to match your bikes color theme easily. 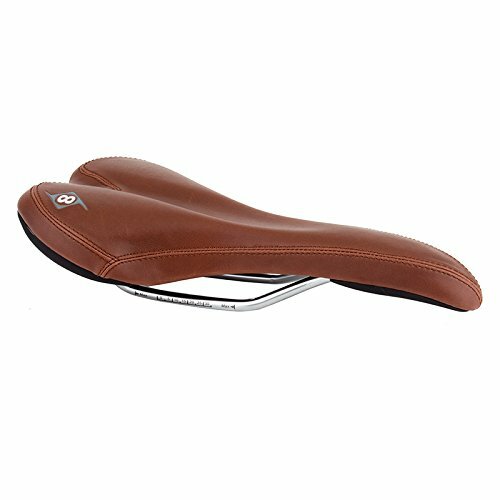 It has a very classic road shape and feel, plus, the inside of the saddle has been made from gel foam, and this provides you with a whole load of additional comfort when you’re on a long ride. It has full chromoly rails that make it very simple to slide on and install. It’s also made from top quality materials and is suitable for any weather conditions. 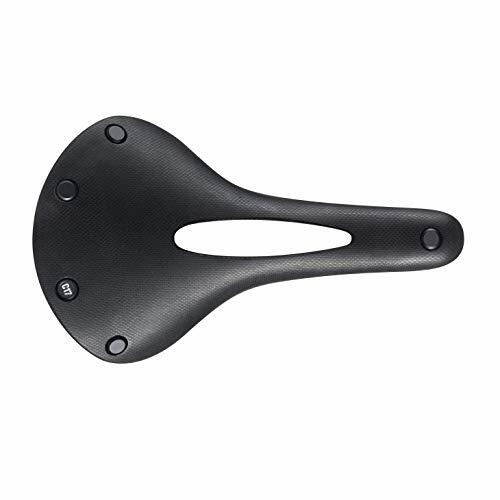 Why We Like It – We liked this road bike seat saddle because it is so durable and reliable, meaning it will last you a very long time. Don’t forget a trusty road bike helmet, too! 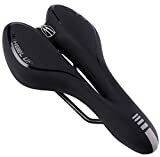 If you’re looking for a road bike saddle that is able to provide you with strong support, then this will be perfect for you. Not only this, but it’s also suitable if you’re riding on a rough road, as the chrome molybdenum is very durable. It’s also easy to install, and it’s easy to adjust. It has a hollow part to the middle of the bike seat, which allows you to breathe, as well as maintain your comfort for a very long time. It’s also waterproof, which makes it very suitable if you still want to go for a long ride in wet conditions. It’s suitable for all different types of bikes, from BMX to folding bikes. Why We Like It – We liked this product because it can be used on any type of road, even if it’s quite a rough off-road track. This road bike saddle actually comes with reflective patches, and this makes it very safe for you, as drivers will be able to see you more easily if you’re cycling on the road. There is a hollow part in the middle of the seat, which allows more breathability so you won’t sweat as much on your long ride. This bike seat has also been made for both men and women and has artificial fatty gel inside of it. This means that it will make your ride a lot more comfortable and will reduce pressure by 40%. It comes with a one year warranty so you won’t have to worry if you have any problems with it, as you’re covered. Why We Like It – We liked this road bike saddle because it has features that will make your journeys a lot safer. If you want to go on really long bike rides, then you’re going to need something that will be so comfortable, and this product is just that. It’s also supportive and will be able to distribute pressure from the whole of your back and eliminate any sit bone pain that you may suffer from. It also has a shock absorber feature to stop you from having to deal with any chronic back pain. This bike seat is actually only suitable for men because of its narrow design and deep center cutout. It’s very easy to install and adjust, and if you don’t like it, you don’t have to worry as they offer you a 100% money back guarantee. Why We Like It – We liked this product because it can distribute all of the pressure, so it’s not just in one place. This road bike seat is known for its award-winning performance and comfort. 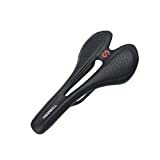 Therefore it will be able to provide you with a level of comfort that you would have never felt before, and you won’t be feeling any type of pain when you go for long rides when you’re using this bike saddle. 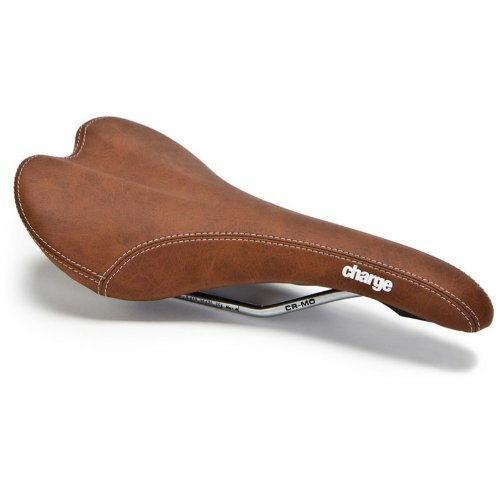 It comes in one color, which is brown, so if your bike is quite vintage, then this bike saddle will instantly suit it. It also has reflectors on the back of the bike saddle that enables other road users to be able to see you. Therefore it makes each journey a lot safer for you if you’re using the road. Why We Like It – We liked this road bike saddle because it is so comfortable to use even when you ride your bike for a very long time. If you’re on the lookout for a waterproof road bike saddle, then this is perfect for you. This is because it has a nylon cover that enables rain just instantly to drip off of it without soaking any up whatsoever. It’s actually very flexible and maintenance free. It will move with the rider’s movements to provide them with the ultimate comfort. It has a sturdy weight of 450g, which means that it is a stable top for any bike that it is installed on. It’s also very reliable and will never let you down because it’s made from durable materials that enable it to last you a very long time and for many journeys. Why We Like It – We liked this product because it can move wherever the rider moves and this makes it a lot more comfortable for you. In the list above are some very high-quality road bike saddles that are known to be very reliable and durable, but it can be tricky deciding which one you like best. In our buyers guide just below we’ve discussed everything that you need to look out for before you do purchase one. This is something that you will have to keep your eyes peeled to, and this is because some of the road bike saddles may only be suitable for men or not suitable for women. Therefore you do need to check this out before you purchase one, as you don’t want to buy the wrong one. You should be able to find this out in the description of the product. This is another important factor that you should check out, and this is because you will want it to be ideally made out of a waterproof material if you’re planning on using your bike outside. If it doesn’t have this feature, then it should only be used for indoor purposes because if it happened to rain when you used it outside, then it could make it very unpleasant and uncomfortable for you. Plus, it could also make the road bike saddle worn a lot more, and it may not be able to cope with getting wet so it may become damaged. It might sound quite a complicated thing to do, but trust us installing a new bike seat is actually quite simple. Before you do anything, you will need to unscrew the bike seat that you already have on your bike. To do this you will need to tip the bike upside down and underneath the bike seat, you should see a screw. You will need to undo this with a screwdriver until it is about halfway unscrewed. Then place the bike back to its normal position and remove the old bike seat. To put your new road bike saddle onto your bike, you will need to make sure that the seat post is facing the back of the saddle. Part of the pole that the saddle sits on should be loose, you will need to place this in between the two bars of the new saddle and then adjust it, so it is in a horizontal position. Once you have done this start screwing the screw back into the bike seat. You will need to make sure that the seat it completely secure and once it is, it will be installed correctly. It’s important that you do find the right bike saddle that suits you, just because a saddle might work perfectly for someone else doesn’t mean that it will be the same experience for you as well. This is because each of our bodies is designed differently so it may feel different when you sit on it. If you want to make your bike seat more comfortable, then it’s best to try and tilt the seat more, as it will shift where the pressure on your body is. There are many different road bike saddles all over the internet, and it can be quite confusing when you have to decide which one you would like to buy. It can also be quite difficult to decide which one is best for you without trying it as well; therefore, we do recommend that you try out the bike seats before you purchase one. You would have noticed that some of the seats offer a money back guarantee if you don’t get on well with it and this is an essential feature, because if you find it uncomfortable, then you can always return it. Not only this, but there are also many other things that you will need to look out for like the things we have mentioned in our buyer’s guide, as these can make a major difference over what type of road bike saddle will suit you the best.